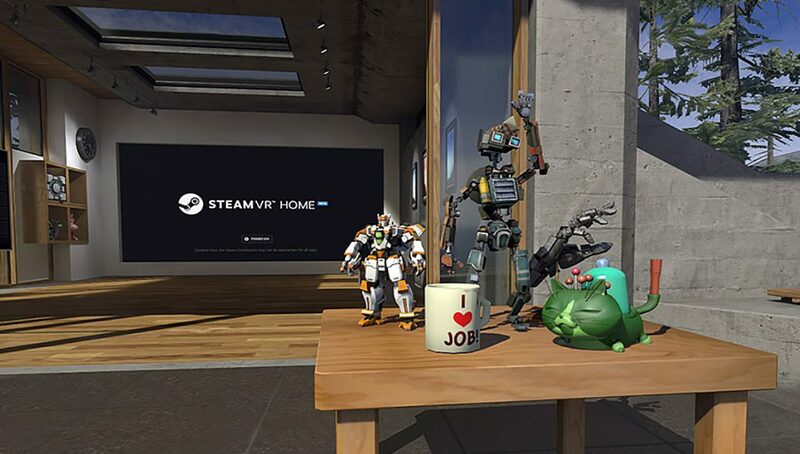 Valve has added the first wave of SteamVR Collectibles to SteamVR Home, unlockable rewards which can be used to decorate your virtual Home space or modify your avatar. 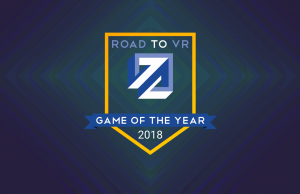 This new feature further expands the rich customisation and interactivity found in the SteamVR Home Beta, the recent major advancement to the SteamVR launch interface, and is a vision of what ‘achievements’ might look like in the future. 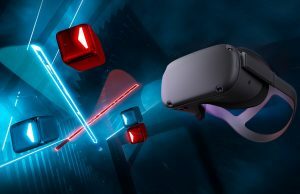 Announced via the SteamVR News page, Valve says the first wave of items are awarded based on ‘ownership or playtime’ of a selection of VR titles, but it seems likely that this could grow to support more skill-based unlocks or integrate with Steam’s existing Achievement and Trading Card systems, offering a much more tangible reward for specific challenges within Steam games. Valve’s real money Community Market already features items for sale that have been unlocked for SteamVR Home, such as this AirMech model. 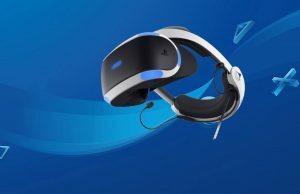 It seems likely that Sony are paying close attention to Valve’s progress here, as PSVR would be the logical way to revive some elements of the PS3-based social platform PlayStation Home, which was also stacked full of virtual items and avatar customisation. Virtual items have been a feature of Valve’s VR developments since the launch of the HTC Vive, demonstrated with various props found in The Lab, some of which made the transition to SteamVR Home. The first selection of Collectibles are mostly static, but it is possible for them to be interactive, such as the farting Neko toy from Fantastic Contraption. 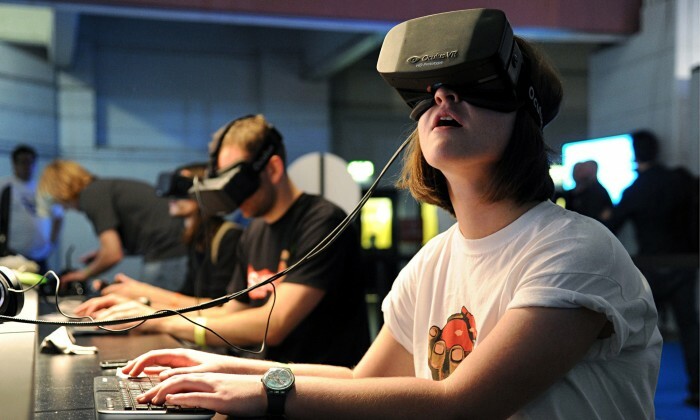 Tangible collectibles in virtual reality is a very interesting idea for showing off one’s gaming achievements. Valve’s real-money take on trading compounds this interest; some of the most coveted and interesting items could be exceedingly rare based on how difficult they are to unlock, though those not wanting to spend the time (but with available means) could choose to purchase the item at a market-determined rate. 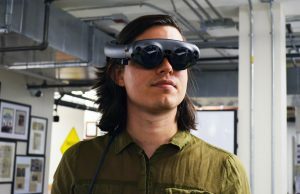 That’s further down the road, but certainly spurs interesting questions about what a future virtual reality economy might look like, like how to retain reasonable value in digital goods when they can technically be copied indefinitely. The problem with Steam Home is to start a game you have to bring up the same menu anyway. It’s nice but there needs to be a way to integrate everything into all environments. Exactly. Where are our Matrix-esque racks with games as tangible objects? I wouldn’t be even slightly surprised if someone made it possible to have a pile of “game cartridges” that you pick up and drop into a little console. It’s already possible to make your own environments, the trick is making carts for every game. Maybe just take the game’s poster from Steam and slap that on as a label, with the name of the game on the top ridge? Some games have obnoxiously long names that may not make that transition gracefully. The real issue on that is the polygonal cost of all those cartridges onscreen. Exactly. It’s just a more convoluted everything to me until it’s all done in such a way that’s it’s basically better and more intuitive than any other alternative way. Otherwise just keep things simple I say. 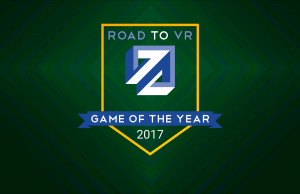 SteamVR Home is stealthily becoming the Oasis we all hoped for. 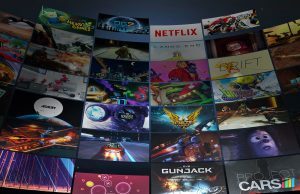 When VR hits the sweet spot in terms of saturation on the Steam marketplace, there will be a true Metaverse waiting built upon collaboration, socialization and great content. And it’s only year one! YESSSSSS. 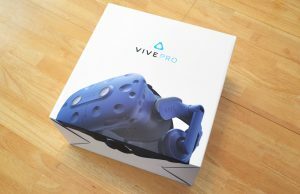 To be honest, I’m excited more for the potential of SteamVR Home and the virtual consumerism that will be made available to us than actual “games” themselves. 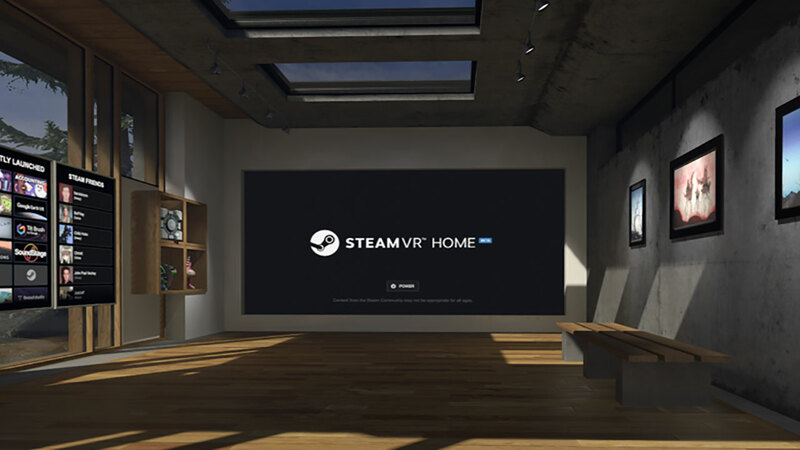 Steamvr misses a home furniture setting, like putting the coutch and tv on the same exact place as your reallife home setting, so you can sit down without falling thru….all without teleportation ofcourse because of the middle always needs to be the middle…. I’m happy to read the comments about the virtual objects in Steam VR. 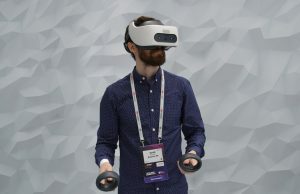 But having been in a series of virtual environments for several years, I’ve also experienced the pitfalls of what happens when the company goes out of business, or realizes that they business model doesn’t meet their expectations and the 3D world gets shut down. I hesitate to acquire items for a home setting, only to have the home closed on me and i lose it all, again. 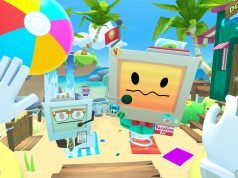 What the industry at large needs to agree on is a common inventory system that lets you store all items you’ve purchased in numerous VR worlds, and pick and choose what you’ve purchased anywhere and place them in the location of your choosing. For instance, for sake of the story, I have chosen to keep my home in Steam. I want to park the car I bought in the XBox marketplace outside of that home. I want to decorate the home with furnishings I bought in IMVU. And I have a fabulous wardrobe from Second Life that I want my High Fidelity avatar to wear. Most digital items are made in a combo of Photoshop, Blender, Gimp, and so on. All that’s needed is to save them in the correct file formats. It’s a simple matter of meta tagging and embedding intellectual creators signatures, which many I’ve learned don’t seem to take into consideration until they get ripped off. Maybe with the dawning of blockchain technology, this will eventually become a moot point. Very good objection and idea, VR needs a kind of bank which functions as interface to all platforms and secures own objects! I think you have a business idea that can be gilded in the future. My own programming skills are rusty at best, and non-existent at worst. But this is something that is gaining momentum, finally. Perhaps in the next couple of years? Write it to Valve, i think they’ve the best conditions for it. I expect that Valve has an excellent team of programmers, but the question would be whether they would develop it to include competitive companies like Xbox, Sony, or Nintendo. Of course, this question must be asked, but the best conditions would currently be Valve. They would have to specify different formats that must be adhered to. In addition, an open interface must be shared for external companies in order to exchange the data. Valve could appear similar to a certification authority and generate a private key for the users and sign the data with it. This could ensure that something belongs to a specific user. It would then be possible to share content via different systems and software and to ensure that the user belongs to it. I think the implementation is actually a trifle. The standards and open interfaces are important. We see the same principle today in many business areas. 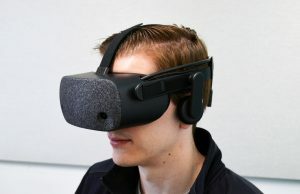 Therefore, this will also happen in the VR world. The only question is who will earn the billions. You mean… Like… Valve. Go out of business. Valve I think is trying to do this and has done an OK job here more than most. They are using an inventory system they made for even non VR aka Skins/Items etc in CSGo/Counterstrike/TeamFortress and other games. It is technically Game Studio Agnostic as any company can use it but it is part of the largest game distributor in the world. Steams items can have monetary value can be traded and are tied to the Steam platform not just the game. And are accessible through a singular platform that most PC gamers have. I could see some people not wanting this tied to Steam but my thoughts are someone has to own this and manage this and will ultimately be beneficial to its owner (aka there will be no one doing this out of the goodness of their heart it will be for profit) and they may be the best suited to make this happen. Facebook could be trying to do this too but they are further behind at the moment. 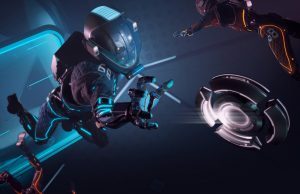 The new SteamVR Beta home is great and checks a lot of the boxes for me marrying their Destinations locations with customizable avatars(with earned cosmetics) and multiplayer and collectibles in a online hub/Launchpad for games feels promising.It feels a little like PS Home I know some may not like that analogy but I have always felt that would have been a great VR interface. 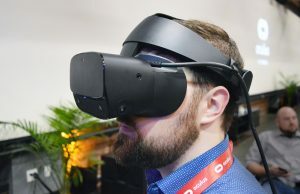 I like a lot of the social apps like VRChat and AltSpace VR but what I do not like about these things is they are places you go in VR closed ecosystems. 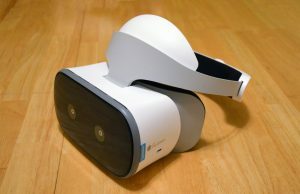 I like the thought of SteamVR being the hub with all the social connectors and some cross software inventory management that can be shared with games that support it aka I could see them making the Steam VR avatars/items usable by other apps such as the social apps I mentioned earlier(Ala Mii like support) aka easy to use SDK integration and I bet this is where Valve is going. 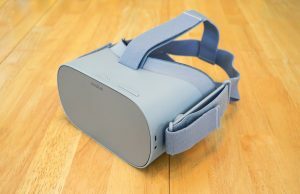 I personally feel the killer VR app is going to be the app that is the Glue that ties all other experience’s together. I have to agree with you there. A single app that all other apps play nice in would be almost utopian. We can only hope. Konchu and Roman both make compelling arguments in favor of relying on Valve to create this. 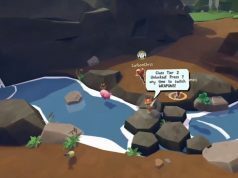 I was originally pointing out a neutral inventory system. 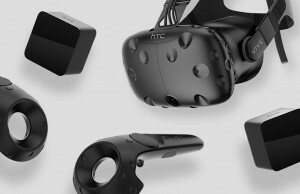 But my interpretation tells me that Valve is working on an overarching VR hub of sorts. At this point, I’m going to defer to these guys and watch and wait. Right now its still early in the game (pardon the pun) for me, and I’m very much an open source/stand alone adherent. If they can gain my trust, I will sing their praises to the world and knock on every game developers door and implore that they port their offerings to the Valve ecosystem. 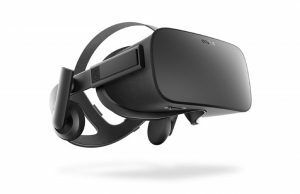 I know I might be in the minority here but I honestly don’t want any of this crap in my main VR UI*. I just want a simple area that has the main menu options where I can quickly and intuitively pick the game/experience I want to try and get straight into it. One room/background and a few clear icons/options to select is ideal as far as I’m concerned. Once you start introducing the potential for anything even close to “achievements”, be it in a slightly less obvious form of “collectibles” or not, as well as all these different rooms and whatever other stuff, including actually moving around and socially interacting with other people and whatever else, it starts moving closer and closer to the utterly convoluted mess that is Steam in 2017–a mess as in it’s just utterly terribly design and not user friendly (trust me, whatever you think, it’s not use friendly)–and I really don’t want that! Someone else can put the social room and stuff like that in an actual separate self-contained App; and then I can properly have a choice as to whether I want to engage in and be shown any of that kind of crap or not. *Unless it’s executed basically perfectly and is actually a better way of doing the same thing that simply and immediately clicking an option with zero fuss, which it clearly isn’t yet.